One of the most important factors to consider when planting a garden is assessing what your landscape will look like during the winter months. The Western Sandcherry, a creeping, low-growing plant native to the Rocky Mountains, is active in both the spring and summer. In addition to this, the leafy plant is also extremely diverse and beautiful during the fall months. 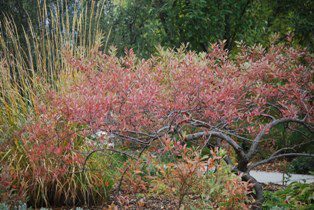 By growing this perennial shrub, your Colorado garden will seem to transform itself with the changing seasons. 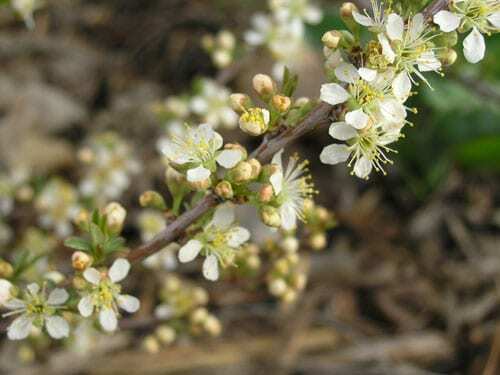 During the spring, the Western Sandcherry has bright, green leaves with a moderate amount of fragrant, white flowers sprinkled throughout its foliage. This plant also features black fruits and seeds that will attract birds and wildlife to your luscious, Colorado garden. While the greatest bloom usually occurs in early spring, this plant will remain lively and colorful throughout the fall. In autumn, the leaves take on a variety of cozy shades, including burgundy, red and orange. Your garden will continue to electrify your landscape against a pale, clear sky. Added warmth from this plant’s unique color will also increase curb appeal, a welcoming contrast to the chilly, mountain air. If the Western Sandcherry finds a home in your garden, you will appreciate this plant’s long life span in comparison to other plant species with a moderate growth rate. Fully grown, the typical Western Sandcherry will reach a moderate height of three feet. As such, this plant grows well with other native shrubs. Along with the plant’s diverse appearance is its great variety of growth options. The plant can be propagated by bare root, container or seed. You can enjoy nursing these plants, as the seedlings have high vigor and do not require cold stratification for seed germination. Are you ready to add a new plant to your fall garden? Lifescape can keep your landscape bright and attractive all year long, even in autumn and winter. Contact us today with any questions about our landscaping and gardening services.